Did the redevelopment of a vital walkway reconnect a community? 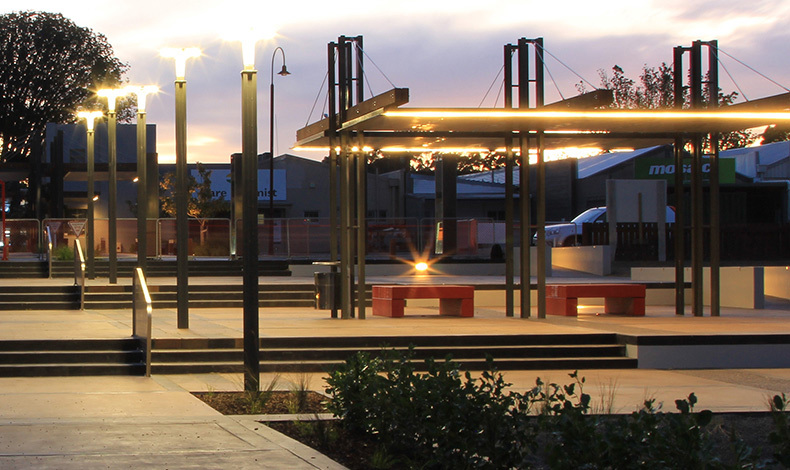 One of the objectives of the Te Puke Urban Design Statement was to redevelop a vital walkway in the Te Puke town centre. Although the community was split with opposing views when first proposed, they now all agree that the finished product is a lovely airy space that is safer and more appealing. The Council engaged us to design and supervise the redevelopment of the former Te Puke Heritage Walkway. The previously narrow, covered space was widened and opened up to admit sun and light, and better link the town’s main street to the nearby Jubilee Park, which are earmarked in the Te Puke Town Centre Plan for future development. Wall displays and pou depicting local heritage, were dismantled from the former walkway and relocated to a more visible series of double-sided display boxes on adjacent Commerce Lane. Urban design, landscape design, project management and consultation with stakeholders.